Clarke County is a county of the U.S. state of Alabama. As of the 2010 census, the population was 25,833. The county seat is Grove Hill, Alabama. The county was created by the legislature of the Mississippi Territory in 1812. Clarke County has a history as rich as the soil along the banks of the Tombigbee and Alabama Rivers which form its boundaries. The county’s history began long before Alabama’s statehood. Fort Stonewall was a settlers’ stockaded fort on the west bank of Bassett’s Creek, five miles southeast of town. Smaller than Fort Madison. Attacked by Red Stick Creek Indians in September 1813 but repulsed by the settlers’ dogs, the fort was then abandoned for Fort Madison. A marker (1931) is located east of town on Fort Sinquefield Road off of US 84. 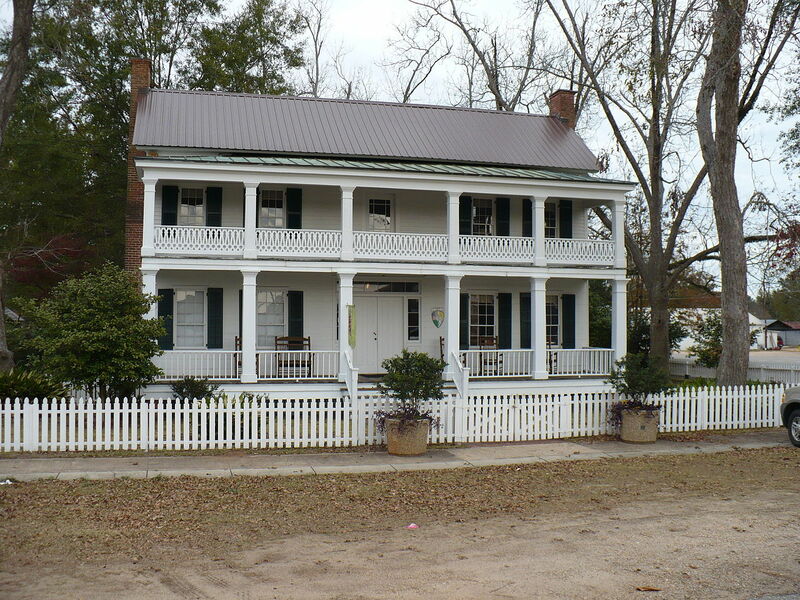 The site is managed by the Clarke County Historical Society. Grove Hill, Alabama is a town in Clarke County, Alabama. The area that is now Grove Hill was originally inhabited by Creek and Choctaw Indians. The county seat of Clarke County was established at what later became Grove Hill in 1832 as the spot was most central to the rest of the county. Known variously as Smithville, then Macon, the name Grove Hill was selected around 1850 for the large grove of oak trees on the plateau. The town was officially incorporated and chartered in 1929. Grove Hill was the site of one of the worst massacres of the Creek War of 1813-14. According to Christopher Maloney on the Encyclopedia of Alabama, it was the only fort attacked during the conflict. Fort Sinquefield is the historic site of a wooden stockade fortification in Clarke County, Alabama, near the modern town of Grove Hill. It was built by early Clarke County pioneers as protection during the Creek War and was attacked in 1813 by Creek warriors. A marker was erected at the site by Clarke County school children in 1931 and it was added to the National Register of Historic Places on December 31, 1974. At the time of the Creek War, originally a civil war within the Creek nation, Clarke was a newly formed county in the Mississippi Territory. The Creek were divided between traditionalists in the Upper Towns and those who had adopted more European-American customs in the Lower Towns.